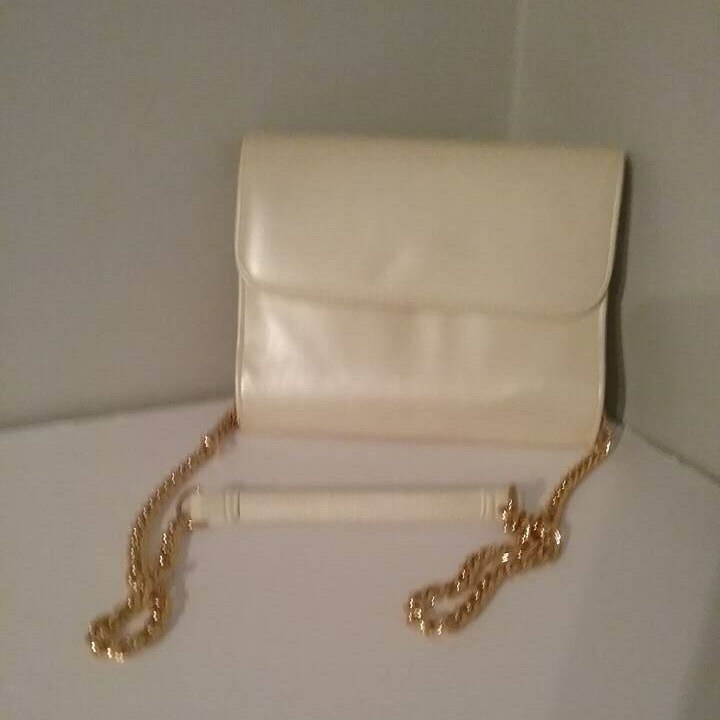 Vintage evening bag by Cabrelli Canada, stunning cream colored hand clutch that also holds a shoulder chain. 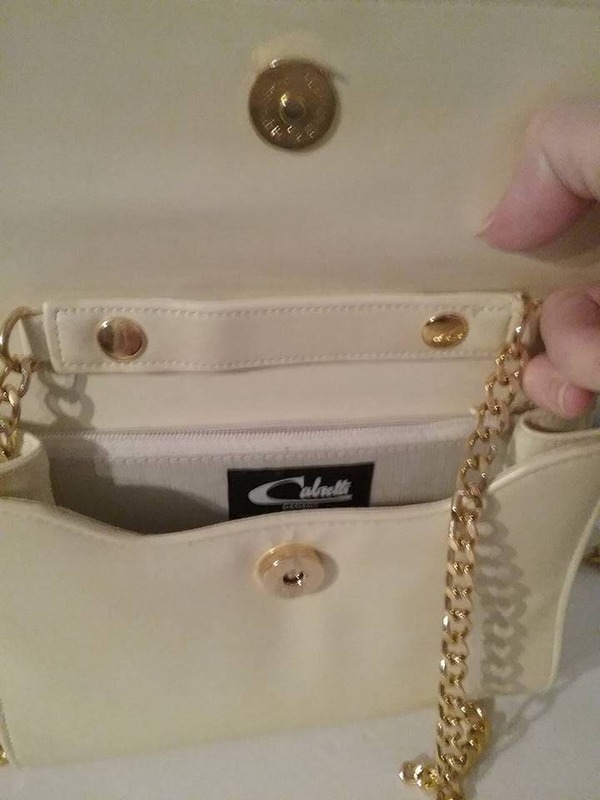 Zipper pocket inside, and chain has cream colored shoulder strip for comfort. 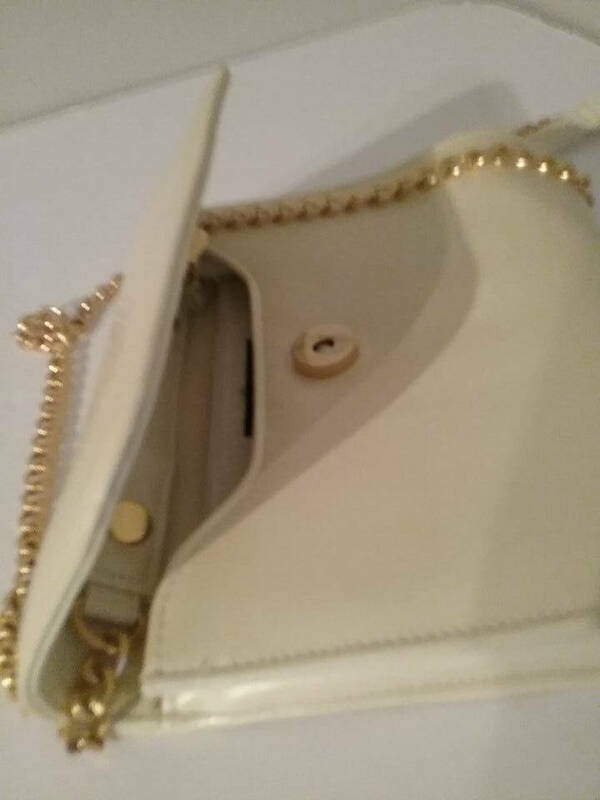 Excellent condition with magnetic closure. Little to no sign of wear. Treat yourself! 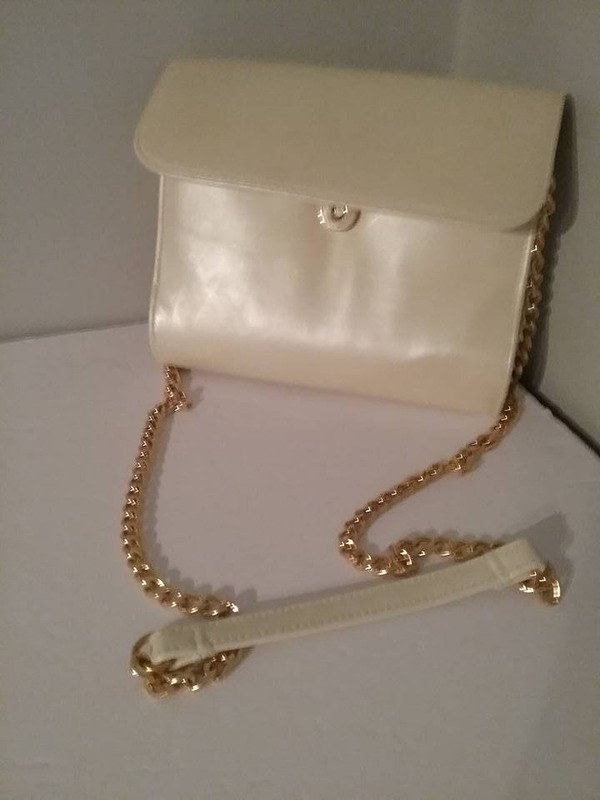 Vintage that looks new....designer too! 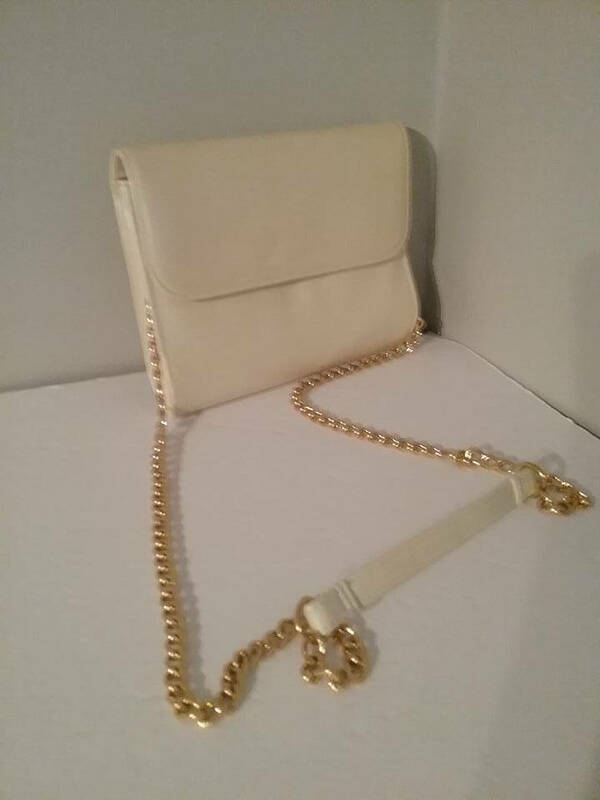 Over the shoulder bag, or evening clutch...your choice...your change.